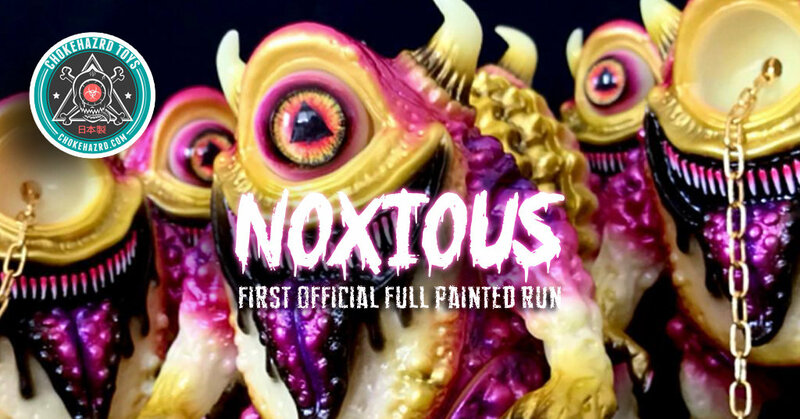 The already iconic Chokehazrd’s NOXIOUS is without a doubt one of our favourite soft vinyl pieces out there. Now the one eyed fiend it’s back for its first official full painted run and it’s simply gorgeous!!! Features glass doll eye inserts and a retractable eyeball chain. Stands about 170mm tall, featuring 5 points of articulation (arms, legs & eyeball). Limited to 30 pieces for $280usd (plus shipping) each. Lottery closes Friday at 23.59 (AEST). Good luck!